While Weber makes the best stand alone natural gas grills, when it comes to built in gas grills (propane or natural gas) there are other manufacturers who give them a run for their money. When you are building the perfect outdoor kitchen you are going to want a grill that truly impresses. Whether you call these things “built ins”, “drop ins” or “inserts”, there are other brands that you need to consider. When you start reviewing insert grills it is easy for things to turn into a jumble of random numbers. Cost, BTUs, grilling area, burners, warranties, etc. I am going to try to make sense out of things by using the Weber insert grills as a benchmark and comparing other options against them. Weber has two drop in gas grill options. The first is the medium sized Weber Summit S 460 and the second is the larger Weber Summit S 660. 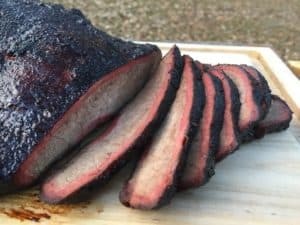 Okay…so that is what you can get for two grand if you buy a Weber, Let’s look at some other options below that price point to see if you can get a better bang for your buck. The Angus from Bull is the best head to head comparison with the Weber Summit 460. Summary: The Angus grill from Bull is less expensive, larger and has a better warranty than the Weber Summit 460. The Bull does not come with a Sear Station. The Sear Station on the Summit is a standard stainless steel burner tube that adds an extra 10,000 BTUs to a section of the grill grate. The Sear Station is a nice feature and will let you put some nice grill marks on a steak. The Bull does not come standard with a Sear Station but does have an optional Sear Burner that is far superior to what is found on the Summit. The Bull Sear Burner can be easily swapped out for a traditional burner in less than a minute. The Bull Sear Burner is an infrared burner capable of reaching temperatures of over 900F. The sear that you get from an infrared burner simply demolishes the searing ability of Weber’s standard gas burner. The Bull Sear Burner costs about $250 so if you purchase the burner along with the Angus your total cost is equivalent to the Summit 460 but you end up with a MUCH better grill. Here is a nice video walk through of the Angus grill that lets you see the quality construction and other features. The Lonestar Select from Bull is more basic version of the Angus. Summary: The Lonestar Select saves you some money over the Angus by removing the rotisserie, rotisserie burner and switching the burners from cast stainless steel to welded stainless steel. The Lonestar is an excellent value considering that most people never use the rotisserie on their grills very often. Rotisseries are fun for a few chickens but then the thrill dies down. Warranty: Lifetime on burners, cooking grid and housing. Three years on flame tamers. Summary: The Lion 32 inch grill is a heavy duty machine that blows the Summit 460 away in terms of features, size, warranty and price. I love that the Lion grill insert comes with a griddle that can be swapped out for one section the grill grate. I promise that you will use the griddle 10X more than the rotisserie. Like the Bull grills, Lion offers as optional infrared sear burner that can be swapped out for one of the regular burners. The searing temperature of the infrared burner is much higher than can be achieved on the Weber. Here is the video walk through of the Lion 32 inch grill. They are showing that cart mounted version but the features are identical for the built in model. The same drill applies here as well. 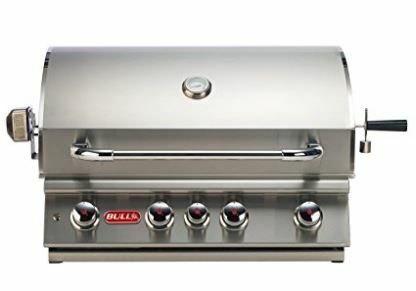 Both Bull and Lion offer insert grills that are lower priced, have better warranties and pack more features. I am a bigger Weber fan than most people but when it comes to finding the best built in grill I think you will get a better product for less money if you get a Bull or Lion.